Don't worry. Let's settle it up ! 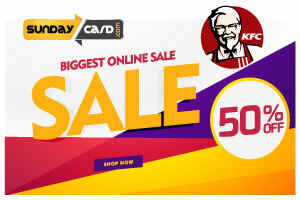 Sunday Card – the ultimate way to shop and save. Promotional offers, earn as you spend, discounts, rewards program, freebies et al provides the Sunday Card holder to have an enjoyable and financially benefiting experience. This Card program, which facilitates non-cash transaction, is accepted in business establishments such as hotels, resorts, boutiques, and city shopping centres. A set payment structure decides the points to be loaded for business establishments and card holders in their Sunday Card account. The business establishments can purchase points from Sunday Card, which would be generated as Coupons in Sunday Card site. Coupon values and percentages can be determined by the establishments. Information on the same would be sent to all cardholders. Sunday Card is multi-faceted. It assists non-cash shopping system. 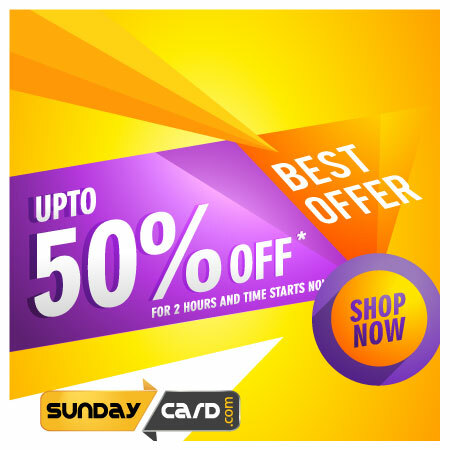 For Companies, Shops and other businesses, Sunday Card is an apt platform to showcase their products. 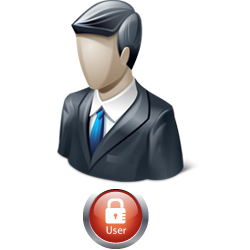 It enables them to reach their target audience at no extra cost. Sunday Card can be availed free of charge and the cardholders can select the coupon of their choice. These coupons can be redeemed at the establishments. Apart from the coupon-based discount fares, the cardholders can expect surprise offers such as those directly offered at the Point of Sale for Sunday Card holders. 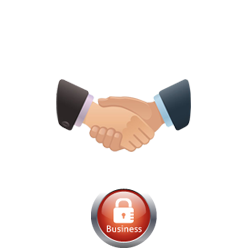 At times, offers get clubbed together to give the clients maximum benefit. With the Mystery shopping aspect, clients can pick up the freebies from Sunday Card, do shopping or visit the business establishments and give feedbacks. 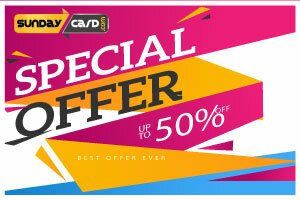 The wide variety of offers and freebies that a cardholder can choose at Sunday Card gives them more value for money. Be it for the Marketers or for the Customers – it is a win-win situation. 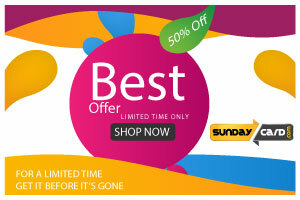 Sundaycard's benefits may also be availed from your nearest retail. You may also submit your blog. This will be reviewed and you will find your name in our website ! Our customer executive is always available for your assistance. If there is even slight chance of getting something, that will makes you happy, risk it. Life is too short and happiness is too rare - opt Sundaycard. Sunday Card will shoot you the recent updates right in to your inbox.